This small dual function permanently mounted sensor and transmitter series provides simultaneous outputs, one for vibration and a second for temperature. The sensor's hermetically sealed stainless steel housing supports installation in most applications. The integral 1/4-28 mounting stud allows the sensor to be installed in any orientation while built-in ground isolation, ESD protection and mis-wiring protection ensures a trouble free operation. 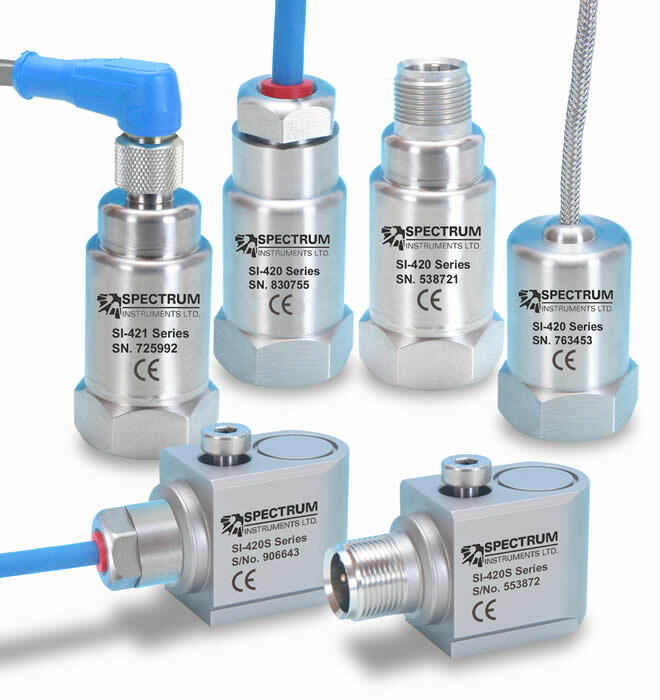 The Spectrum SI-Series sensors and 4-20 ma transmitters can be connected to a wide variety of both portable and permanently mounted instruments for display, trending, and alarming.